David Guy Stevens is a former prosecutor, having worked for both the DuPage County State’s Attorney and the Kendall County State’s Attorney. He prosecuted thousands of cases, including felonies, criminal misdemeanors, DUI and other driving offenses. David also represented the State on behalf of custodial parents to enforce the collection of past-due child support. David has extensive experience taking cases to trial or hearings, including both bench and jury trials. 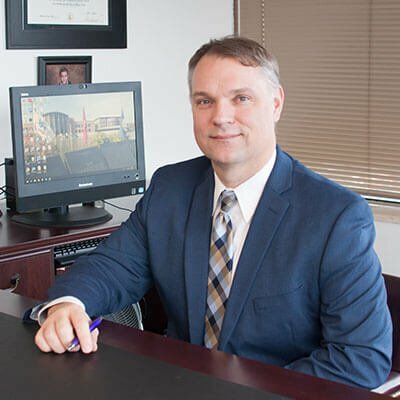 As a defense attorney, he has represented clients in a wide range of cases, including DUIs, drug cases, thefts, violent crimes, among many other charges. He has also defended parents accused of the abuse and neglect of their children. David is also skilled in the area of family law, having represented husbands, wives, fathers, and mothers, not only helping them through the legal requirements of a divorce, but also aggressively fighting for important issues such as visitation, child support, property battles, and child custody. David received his law degree from Northern Illinois University College of law, where he graduated with honors. He took first place at the College of Law’s mediation advocacy competition while participating as a member of trial and negotiation teams.